Experience the unique and ancient traditions of Malanka! 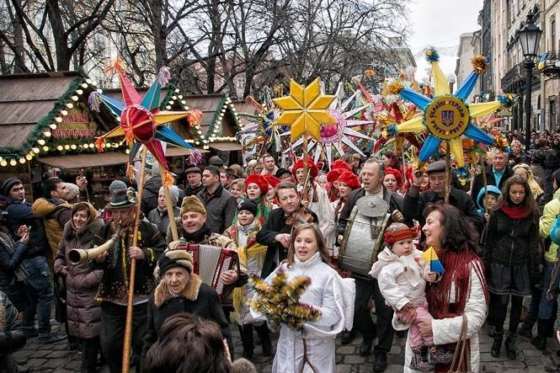 Celebrate Malanka in Ukraine this year, celebrate Ukrainian New Years with us! Amongst unique and ancient traditions, where the festive customs have remained unchanged for centuries - we guarantee you will see things you have never seen before, and will never see again! 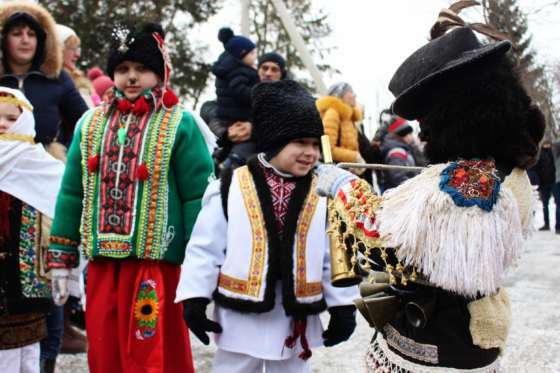 Celebrate a traditional Ukrainian Christmas in the wintery Carpathian Mountains, before marvelling at the colourful spectacle of the Malanka Festival in Chernivtsi. 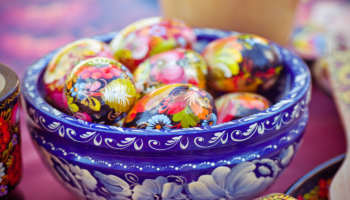 Learn Ukrainian traditions, see the stunning, colourful costumes, and experience the local people at their most festive – on this tour, you will see into the heart of this country and its vibrant culture. You’ll be taking home some amazing, colourful memories from this tour – other New Year’s celebrations just don’t compare! Lviv is a dreamy city, known as the “Paris of Ukraine”, whose charm is only accentuated at Christmas time… Experience winter in one of Ukraine's most beautiful cities: skate on the ice-rink in the main square, drink mulled wine, while wandering the cobblestoned streets under the glistening lights. Visit the thriving Christmas Markets to sample some Ukrainian donuts, pick up some local delicacies, or shop for handmade delights or souvenirs. Travelling up into the Carpathian Mountains is a sight to behold… Hutsulschyna is a wondrous place, full of colour and quirks, rich in customs and tradition. You’ll get to see Ukrainian Christmas as it is celebrated by locals in small villages, with traditions passed down through generations. 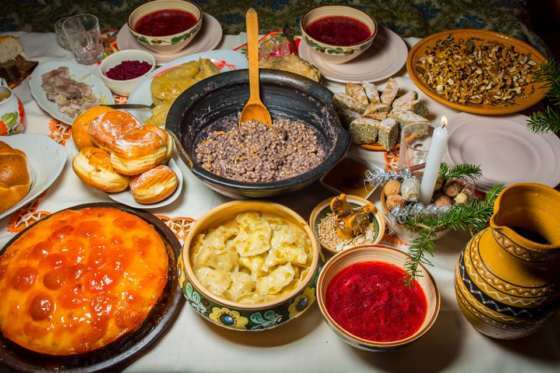 Experience a traditional Ukrainian Christmas Eve Dinner, with all the trimmings, and celebrate Christmas Day – a cacophony of colour and carols! 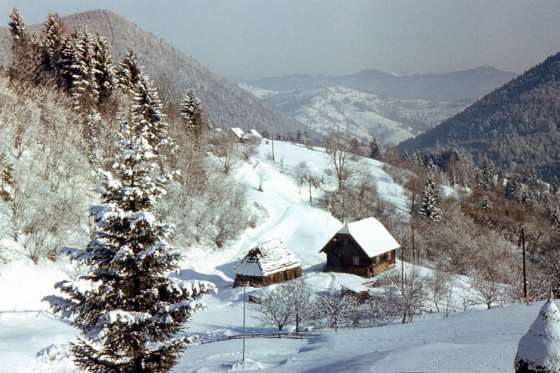 Enjoy the best the Carpathians have to offer - skiing, sledding, hiking in the mountains with views over the snow covered valleys. 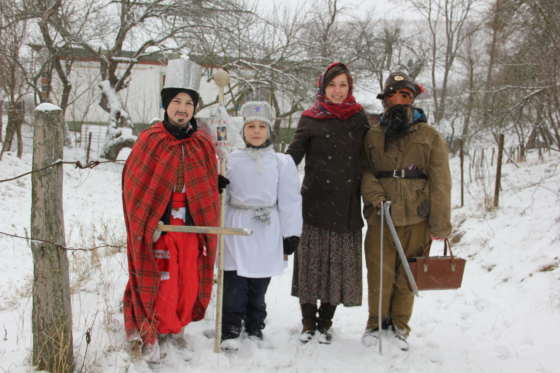 And finally, take part in a Hutsul Zabava at one of the houses of the locals! 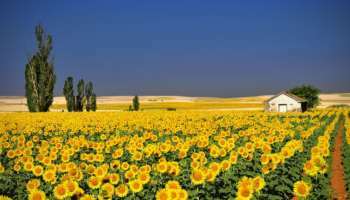 Not forgetting a trip to Kosiv bazar – truly a once in a lifetime experience – the locals here sell everything from antiques to handmade blouses, to washing machines and old Lada parts. 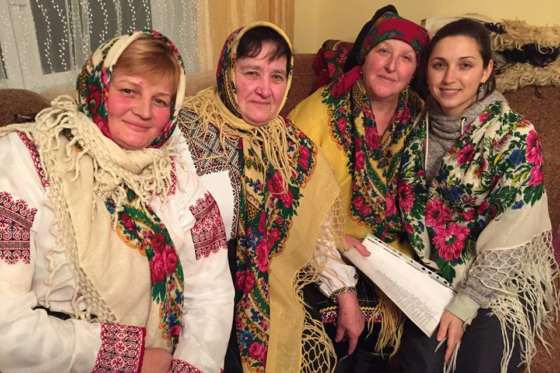 Welcome to Tulova… A small, authentic Ukrainian Village: here the locals are keen to welcome you into their village, to show you around, to experience their culture and day to day life. 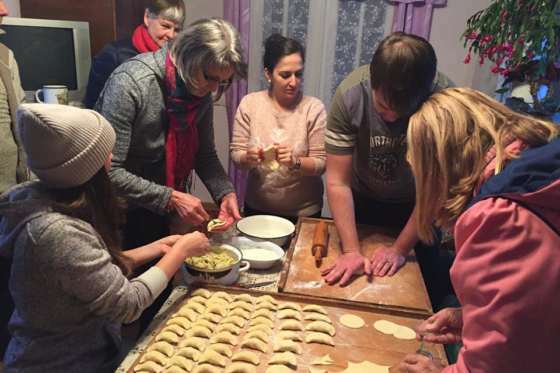 Here we’ll learn to make our own traditional dishes - “borshch” and “pyrohy”, learn some carols, and experience Christmas in true Ukrainian style! Chernivtsi – the Capital of Bukovyna – is considered one of Ukraine’s most important educational and architectural sites… Its spectacular University is an ancient, magical collection of buildings, which will take you back in time as you step through its doors… Then for the highlight – celebrate Ukrainian New Year, or “Malanka” with us and see the amazingly unique parade – “Vertep” – a hypnotic festival of colour, culture and tradition – it’s a feast for all your senses! Locals dress up in handmade costumes and parade through the centre in a pageant of brightly colours and bewitching performances. We will return to beautiful Lviv for a last few days of exploring, sightseeing, and some souvenir shopping on the Christmas Markets, before one last Ukrainian Zabava to end your trip with a bang! 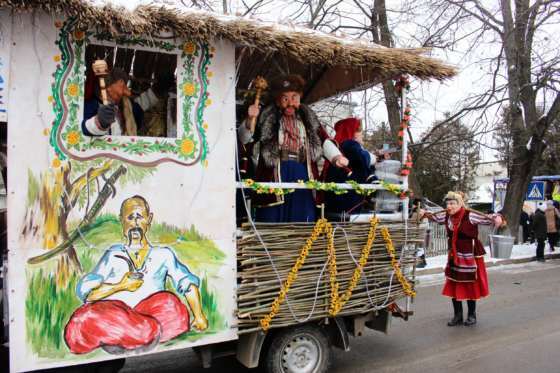 Experience a unique and colourful Malanka parade in Krasnolisk and Chernivtsi – a feast for all your senses!